Meals change over time. What we eat, and how much we eat changes. In the 16th century we see the transition from the medieval context of two main meals a day, with the first one happening sometime after 10 am, to a more modern concept of three meals a day. However, even still, they were not the same style of meals we’re used to. How to put together a basic set of food for a day, not a feasting day, but a standard day. For some of this I’ll be using previous work I’ve done, the OED, and I double checked a few various texts. Think of this one not so much of an article as a set of guidelines for making things more period for those of us who are 16th century. In Tudor England the three meals of the day were called Breakfast (brekfast, brekefast, breckfast), though this was not eaten by everyone, however it did gain in promenence through the 16th century; Dinner (diner, dyner, dinere, dener, dynnor, dennar) was the meal eaten around the middle of the day, from what I can tell it could be eaten as early as ten or as late as two, this also tended to be the larger meal of the day; Supper (soper, sopper, soupier, suppare, suppair, super) was the final meal of a day. There is the implication that this meal was a lighter meal than dinner and probably generally consisted of either soup or pottage. One great thing about being done the A&S 50 is that I don’t feel bad about doing a recipe where I didn’t do the recreation and the background research is shaky. So, with that said, here’s pretzels. 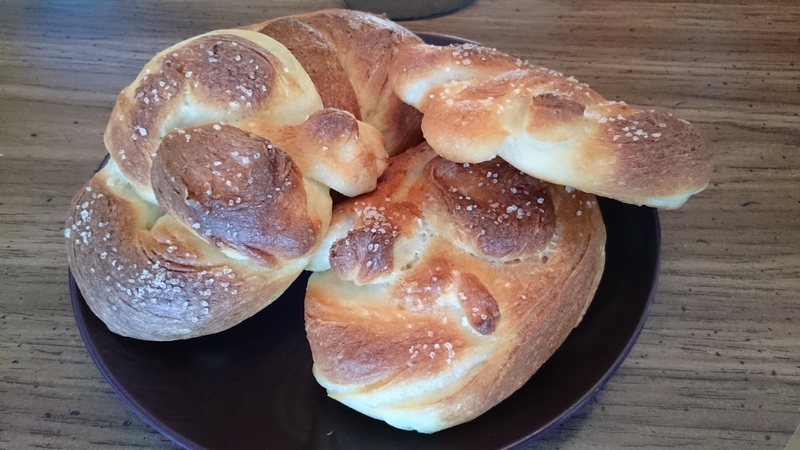 Ever since I made some modern soft pretzels I’ve been reading about the history of pretzels. Modernly we use boiling water with baking soda in it. Previously they used lye in the water to accomplish the same dark colour. However, I can’t find any use of lye or ash in boiling water in the production of bread products in the SCA period. Some people have suggested that they used malt in the water but again there’s no proof of it. That of course doesn’t mean it doesn’t exist. 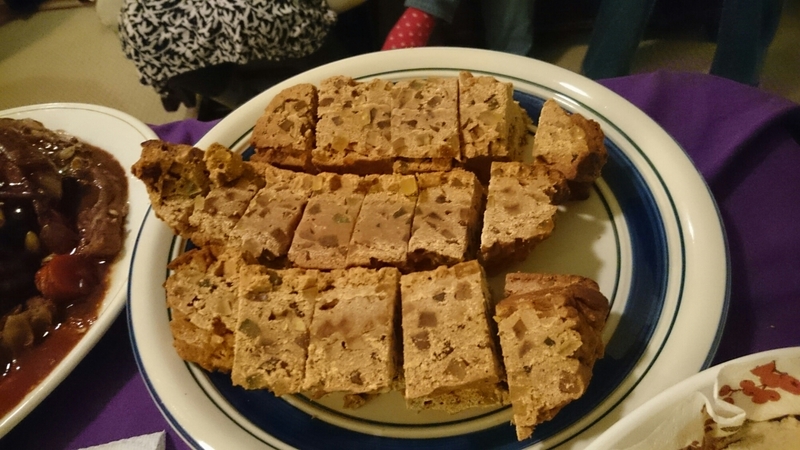 A number of years ago I put together what I thought might be a good period fruitcake recipe. I never got around to making it, so, since we’re having a Sugar & Spice & Everything Nice theme for culinary night this week here’s an updated recipe and my finished version of it. I originally got the idea for this from Jennifer Strobel, so again, many thanks go to her. 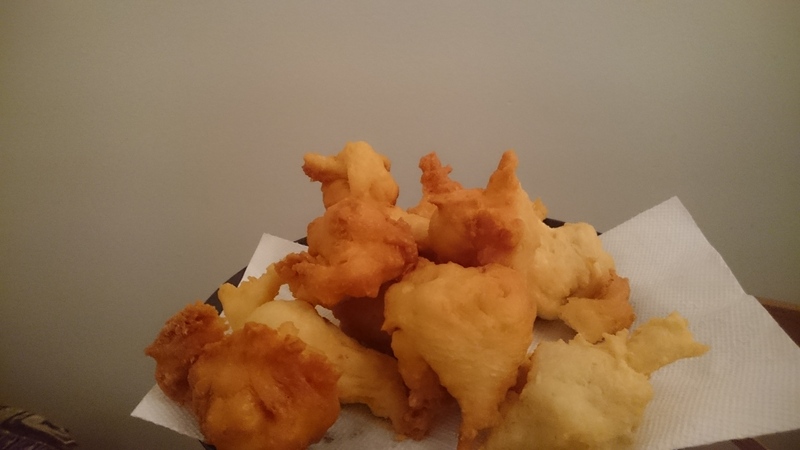 I made a fast recreation because I wanted to make fried bread and had the ingredients, they were underwhelming. But not every recreation is successful. Chi voI e fare frictelle levetate, tolli lu leveto del pane overo formento, se non petisci avere suco de bono herbolato, et frigile in olio tanto che non vaga tucto socto. He who wants to make leavened fritters, take the leaven of the bread or else corn, if you cannot have juice of good herbs, and fry them in oil so much that they do not go all beneath. 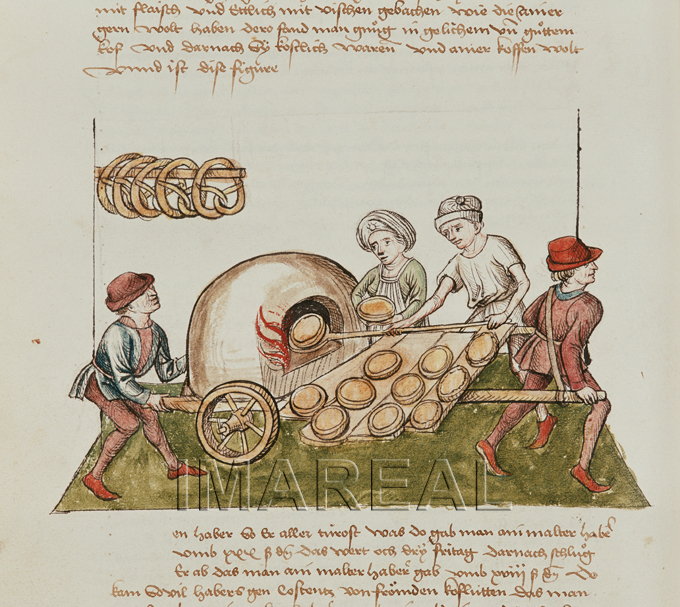 It’s been a while since I did a medieval bread post (*cough*five years*cough*) so I thought it was time to bring it up again. 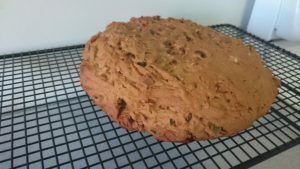 I wanted this to be a post and recipe for everyone to be able to make medieval style bread. 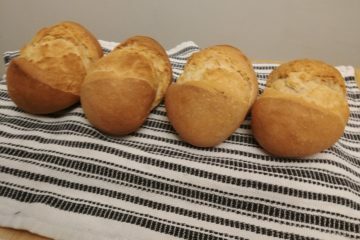 I’ve been making sourdough a lot the last few months (thank you Lady Audrey) which has given me a better appreciation for the art and act of levening. 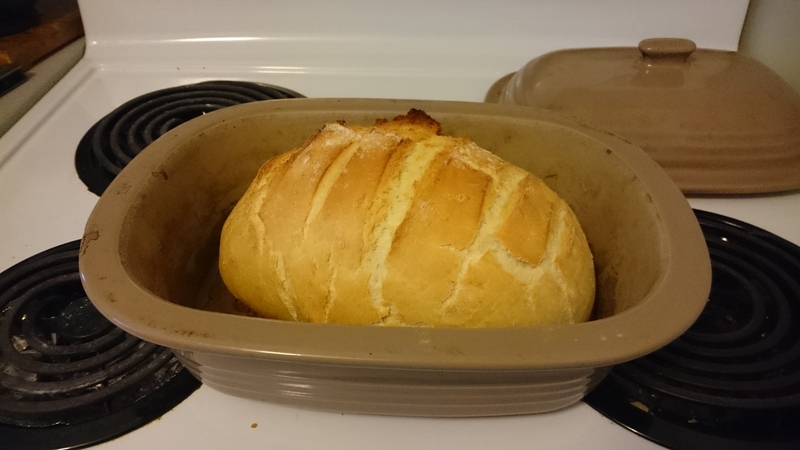 This made me want to return to my old bread recipe. So for the first one were starting from my reassessment of medieval bread. Searching more info I found Steamy Kitchen which seems a super similar one. This past weekend my wife and I went to July Coronation. It was a very long court for me to have forgotten my chair, but some very well deserving people were recognized. After court we went back to Mistress Safiye’s sunshade and got out the brazier, filled it with charcoal, and got to work. It was flatbread day. I’d been planning this one for a while, so I’m very happy with how it turned out. I did two different versions. One standard flatbread and one desert flatbread. 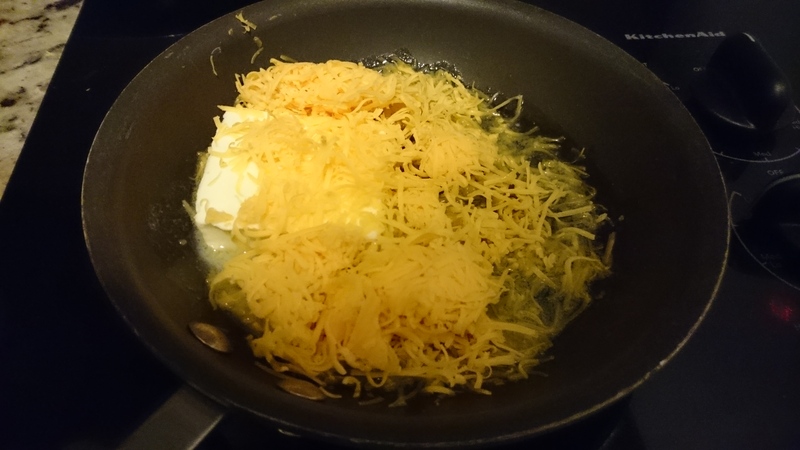 Take semolina and moisten it, energetically mixing with a little water and salt. Divide the dough into pieces and knead each piece with clarified butter. Roll it out, first by hand and then with a rolling pin, fold it, add clarified butter, and roll it out again to obtain a very thin layer. For this purpose use a shaubak, which is a piece of carved wood, thick in the center and thin at the extremities. Small lumps of dough can be rolled out three at a time, placing one on top of the other with clarified butter between each layer. Heat an iron skillet or one of unglazed clay. Take a piece of the rolled out dough and heat it until it has become white and lost all its moisture, at which point remove it from the fire and beat it with the hands in order to separate the layers.